Our customized preparatory program is perfect for small hands. 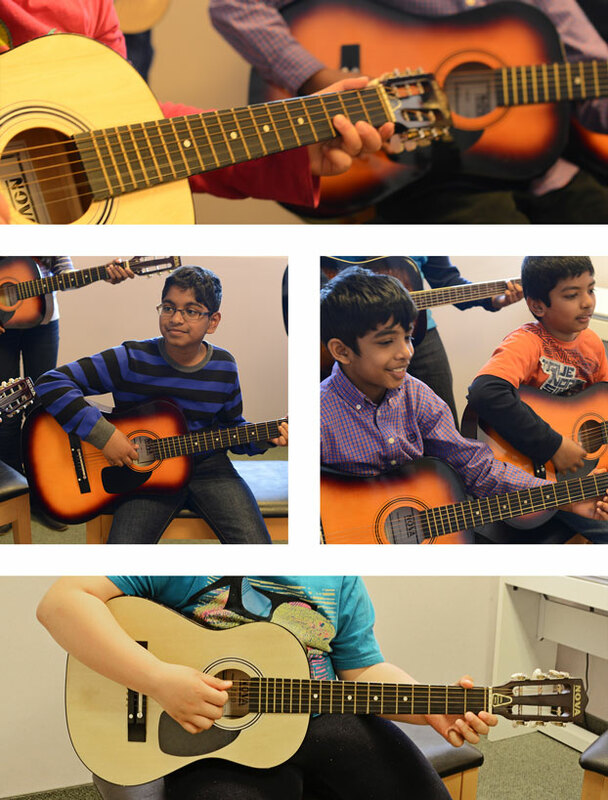 Students are introduced to musical note reading in a manner that is not overwhelming and with simple pieces that enable them to become familiar and comfortable with the guitar strings. This is a program for the slightly older beginner, it moves more quickly than the preparatory program. The program focuses on performance and instrumental playing as well as a stronger emphasis on musical theory and note reading through the introduction of both contemporary and classical music. Has playing the guitar always been a dream of yours? It is never too late to learn! 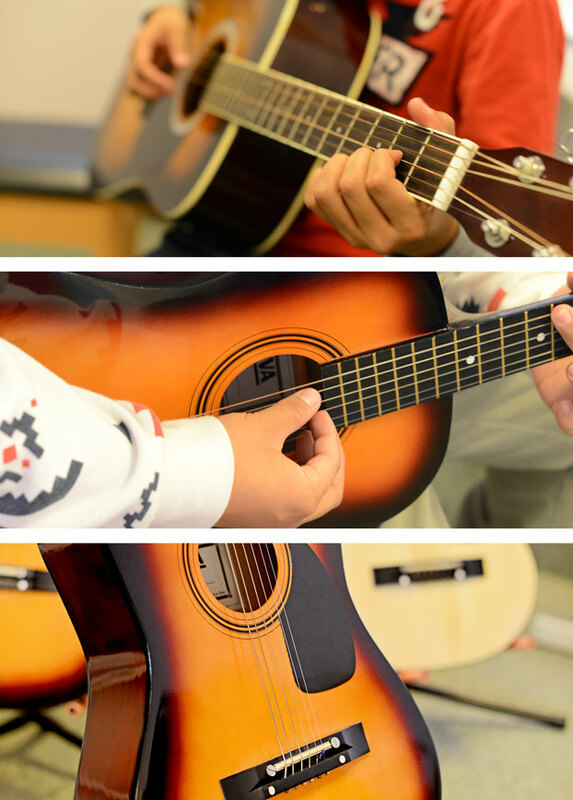 Our customized adult guitar program focuses on chords and song playing with a curriculum that reflects a realistic integration of music into your everyday life.